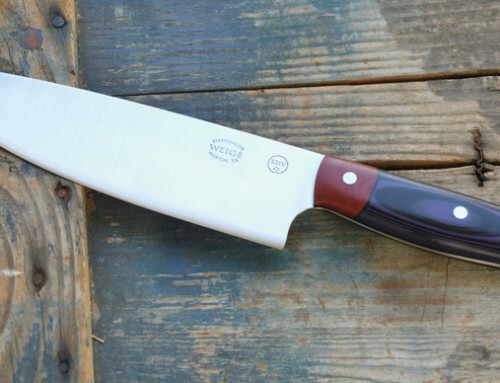 A beautiful 16 inch slicer. 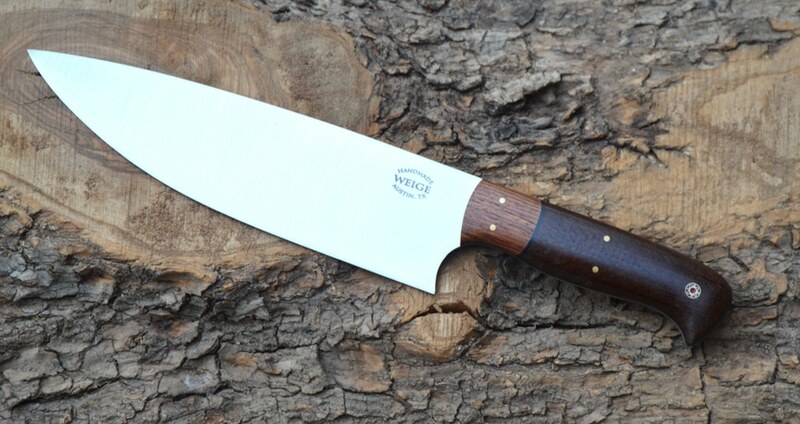 Home/Finished knives./A beautiful 16 inch slicer. 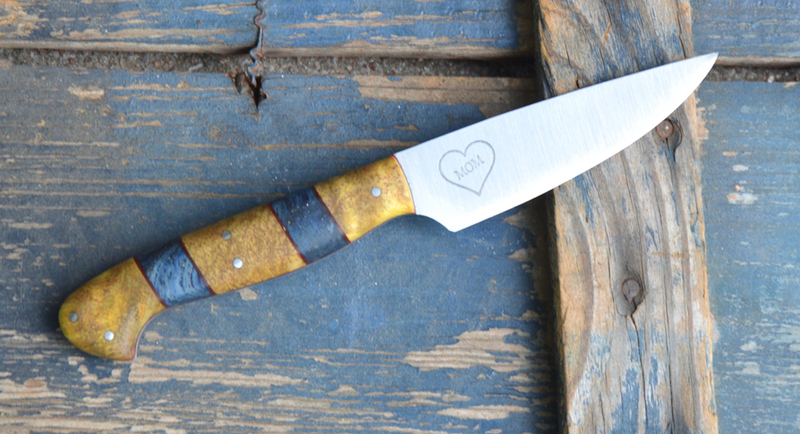 Finished a beautiful knife today for a chef in New York. 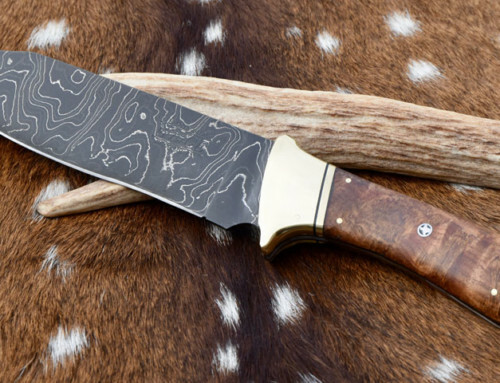 This is a 16 inch slicer done in 154cm American super steel w/ dovetailed, honey water buffalo horn bolsters and a stabilized, spaulted maple burl handle. 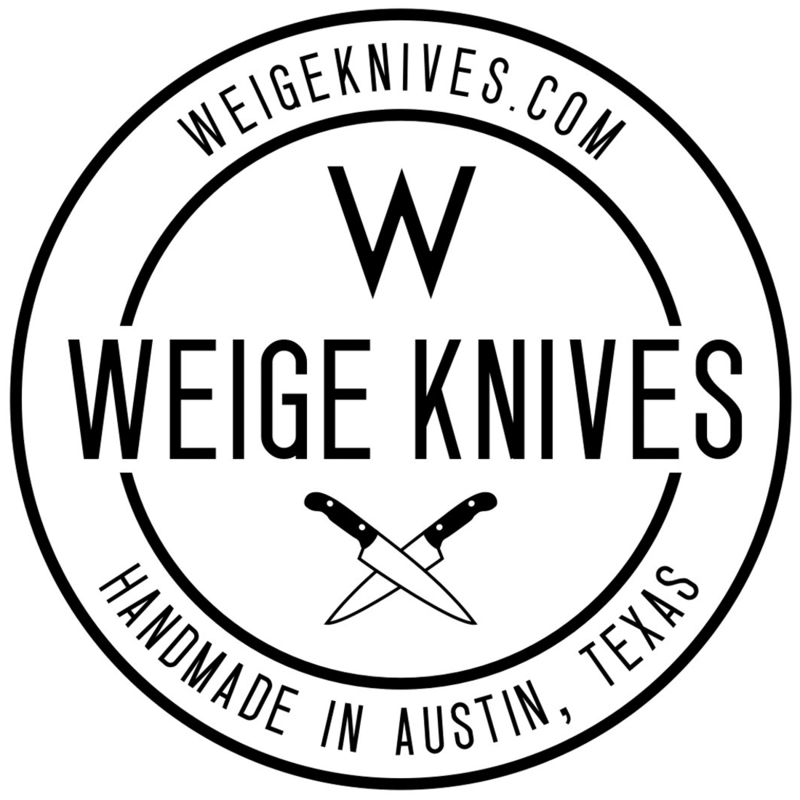 White vulcanized fiber liner w/ handmade copper / brass / stainless combo mosaic pins. 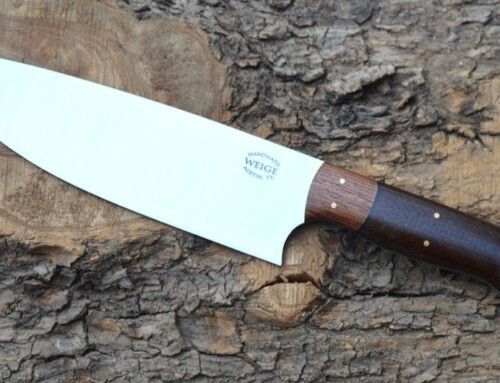 I am extremely honored to be the owner of this amazing knife. 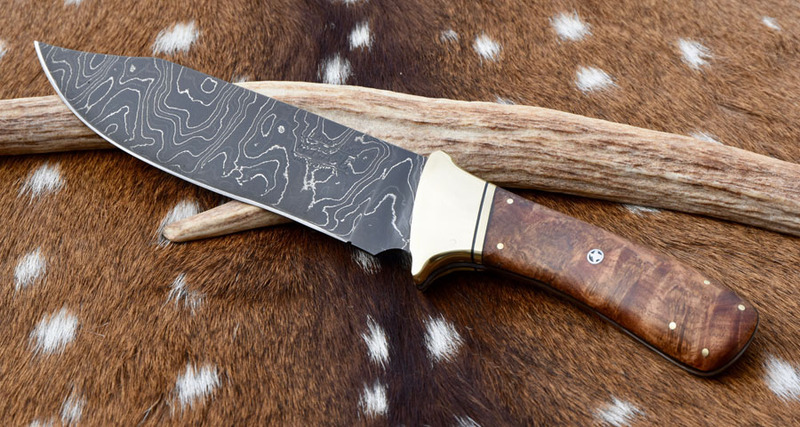 It is absolutely gorgeous and is performs fantastic. 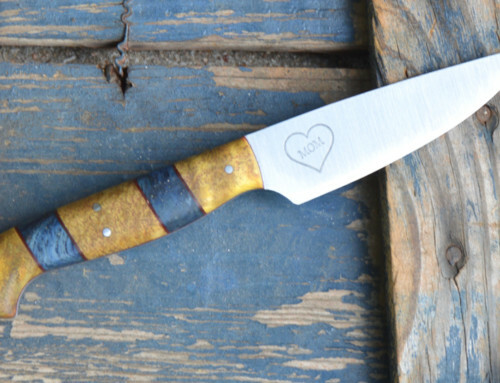 Your passion for making knives is immediately evident in the fine details and craftsmanship of this blade. 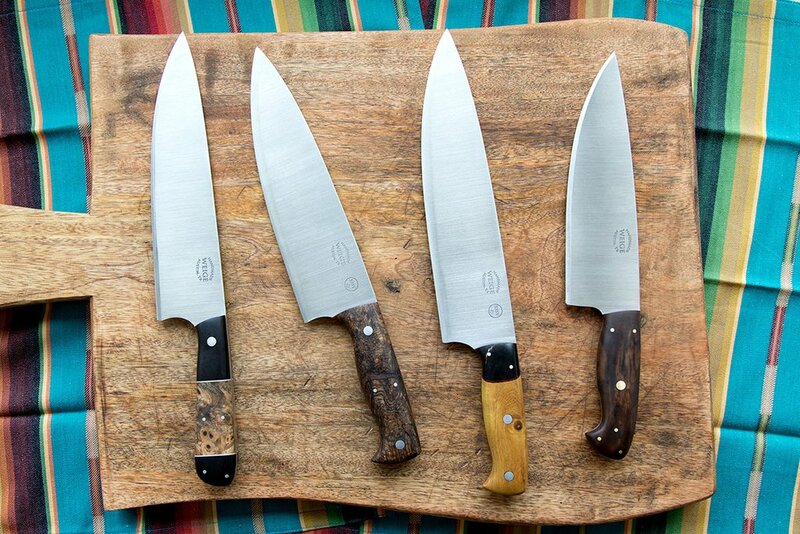 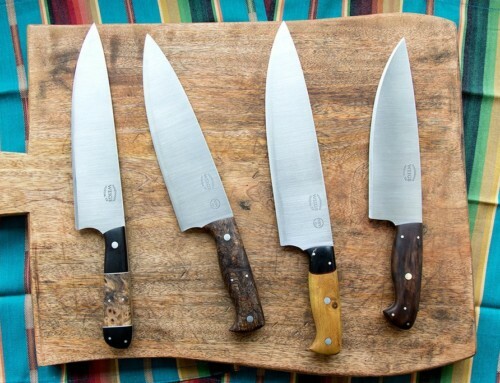 It was a real pleasure to work with you and I feel very lucky to have such a high quality, hand made, artisan knife.